Biotech giant Amgen is buying Icelandic genetics research firm DeCode Genetics for $415 million, the Thousand Oaks company said Dec. 10. 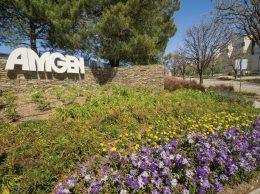 The all-cash deal is expected to close before the end of the year and will give Amgen, the largest biotechnology firm in the world, opportunities to develop new medicines that target defective DNA. DeCode was founded in 1996 and is headquartered in Reykjavik, Iceland. 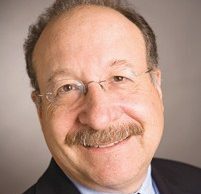 Private equity firms Polaris Venture Partners and ARCH Venture Partners LP back the closely held firm, which emerged from bankruptcy in 2010, according to Bloomberg News. DeCode’s research is focused on analyzing the link between the genome and disease susceptibility. Amgen said DeCode has discovered genetic risk factors for dozens of diseases, ranging from cardiovascular disease to cancer. “One of the ways to truly realize the full value of human genetics, is to make our research synergistic with drug development efforts where target discovery, validation and prioritization efforts can be accelerated,” DeCode founder and CEO Dr. Kari Stefansson said in a statement. Amgen shares were up less than 1 percent in morning trading on Dec. 10.